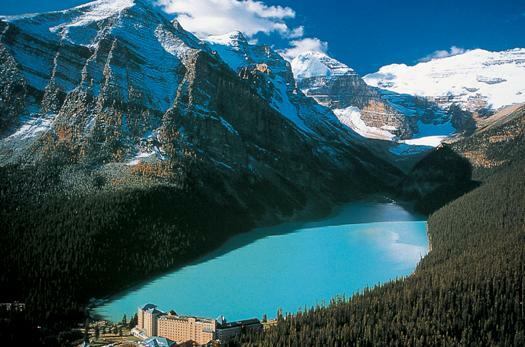 Travel to Lake Louise along the Bow Valley Parkway. En route, a stop at Moraine Lake, a crystal clear glacial lake that’s one of the most spectacular settings in the Rockies. Next Chateau Lake Louise to tour the site and have lunch before making the return trip to Banff. Sunday, June 26th, 9:00 am - 4:30 pm: Travel the scenic route to Lake Louise along the Bow Valley Parkway. En route, a stop will be made a Moraine Lake, a crystal clear glacial lake that’s one of the most spectacular settings in the Rockies. Attendees will than travel to the world famous Chateau Lake Louise to tour the site and have lunch before making the return trip to Banff. A mat will be provided. Stewart Creek Golf & Country Club, is rated among the best golf experiences in the country. Designed by Canadian Golf Architect Gary Browning in 2000, with breathtaking views of the Three Sisters, Cascade, Pigeon and Ha Ling Mountains, Stewart Creek is a course that no one who has had the opportunity to experience will soon forget. 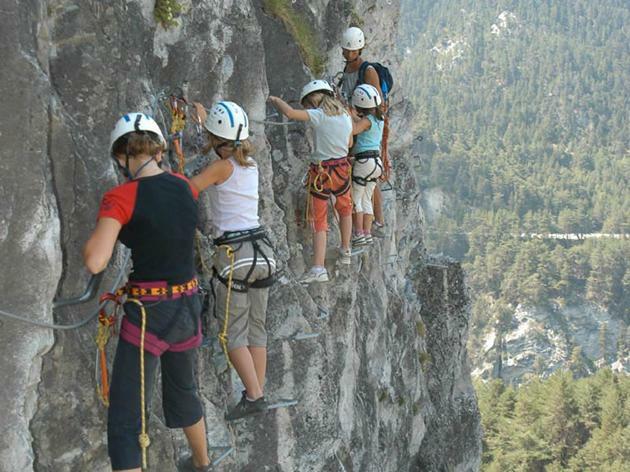 Participants, led by a certified guide will climb on fixed anchors cables and ladders and cross a suspension bridge. No climbing experience is necessary. All you need is the physical ability to climb a ladder, an appreciation for the outdoors and a spirit of adventure! 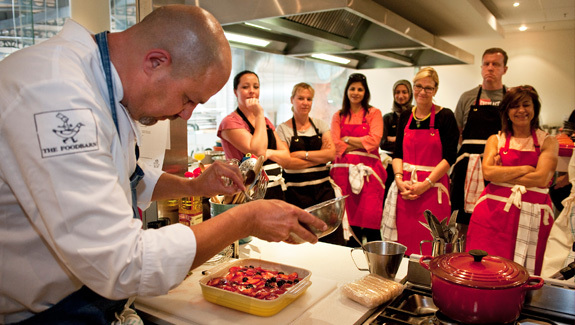 Participants will work with the Chef and Sommelier at the Banff Spring Hotel to create a three course lunch and wine tasting at the Banff Springs Hotel Wine Store. This event will be available to ABC 2016 Delegates and Companions. 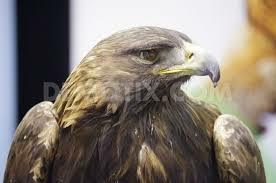 Alberta Birds of Prey is widely known for its EXCELLENT care of wild birds and letting them free when they are healed. Those birds that cannot go into the wild are for view of visitors that love birds & can see them in a safe environment. Get motivated with an early morning jog. John Rossman is a Managing Director with Alvarez & Marsal in Seattle, specializing in technology strategy, multi-channel operations scaling and platform enablement in multiple industries including retail, service and public sector. With more than 26 years of technology strategy, design, implementation and operating experience, Mr. Rossman has led several complex businesses and programs resulting in innovative business models. He has worked with clients across a broad range of industries including retail, insurance, education, forest products, industrial products and transportation. Mr. Rossman is the author of The Amazon Way: 14 Leadership Principles of the World's Most Disruptive Company. A guided tour of the Banff area including a ride up the Banff Gondola for a panoramic 360ᵒ view of the town site and surrounding area. Other highlights include Banff’s ‘Surprise Corner’, the hoodoos rock formation, and Tunnel Mountain Drive overlooking the splendour of the Bow River Valley. One of the country’s most informed economists, Brian Beaulieu has served as CEO of ITR Economics™ since 1987 where he researches the use of business cycle analysis and economic forecasts to increase profitability. Brian has been providing workshops and economic analysis seminars in 7 countries to thousands of business owners and executives for the last 28 years. Discover Johnson Canyon as your guide takes you to the lower and upper falls of this magnificent limestone formation created by years of water erosion. Johnson Canyon is an accessible hike with catwalks built into the canyon walls, which makes this an easy trip for everyone. Along the way, your guide will point out features and give some background about the narrow canyon and the surrounding area. 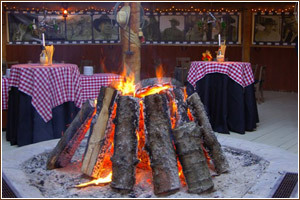 Buses will take you from the Banff Springs Hotel to Brewster's MountView BBQ where you will enjoy an excellent BBQ dinner, Country & Western Band and line dancing lessons. Michelle Cederberg galvanizes people to blaze their own path and live a bigger life. An author, health expert, and life coach, she transports delighted audiences on a journey to optimal health and energy habits, to find better work-life balance, and to gain momentum toward the personal legacy they long to create. Michelle uses humour and expertise to cut to the chase with ideas and insights that help even the busiest people live an energetic, more balanced life. Jim Carroll is one of the world's leading futurists, trends & innovation experts. It is his inspirational, trans-formative thinking that will help you discover opportunity in an era of high-velocity change. And in his most recent keynotes and leadership sessions, he has been helping his clients meet the challenges of the economic contraction by focusing on innovation, and by aligning their strategy to fast-paced future trends.Leading Global Futurist, Trends and Innovation Expert. This option is only for those involved in the hydronics industry. Larry Robinson began his career in the Canadian Armed Forces, starting in construction before apprenticing as a plumber and gasfitter. He became a journeyman in those trades in 1979, focusing on residential and light commercial then expanded his scope becoming a journeyman steamfitter in 1986 working on large commercial and heavy industrial projects. During his time in the field Larry worked on hydronic heating systems ranging from simple hot water tank and poly piping systems for farmers in to high temperature boiler systems for housing and commercial buildings. He also has a lot of experience with low and high pressure steam boilers systems common in industrial use. Larry moved into the inspection side of the industry in 1996 working for the City of Airdrie as a Building, HVAC, Plumbing and Gas Inspector. In 2014 when he joined Alberta Municipal Affairs Public Safety Services where he continues to work as a Building, Plumbing and Gas Field Safety Codes Officer providing code application and interpretation for contractors, engineers and the general public. This option is only for Manufacturers' Agents. Featuring musicians with over 20 years of experience, this high energy duo will have you dancing all night long. You will be able to request favourite songs. The duo will incorporate some fun and audience participation throughout the evening.